Nonprofits and small businesses are problem solvers that deliver a unique vision of how to serve. Today’s buyers, investors and sponsors are rarely impulsive. They research, read reviews, talk to friends and colleagues. They choose to support services and products that come from authentic and well-intentioned sources. Communicating your organization’s message, expertise and personality is critical in modern marketing. While quick exchanges on social media and a well-tuned website can get audience attention, you must do more to serve and develop a long-term relationship. You already know that you share an interest with your audience. Now it’s time to create relevant content that shows you understand, that you get it, that you are here to serve. Often organizations have a lot to share but sometimes lack the communication skills. Copywriters can help craft the content. If you are struggling with ideas, a skilled copywriter can become the investigative reporter you need and develop an editorial calendar for you. In the C.M. 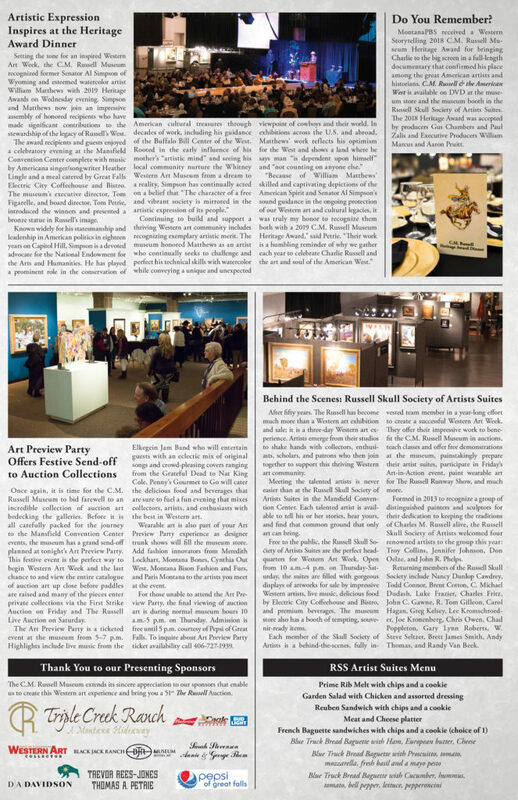 Russell Museum’s The Russell Review daily newspaper, each of four issues covered not just “what’s happening today” but how support for these events carries on throughout the year. 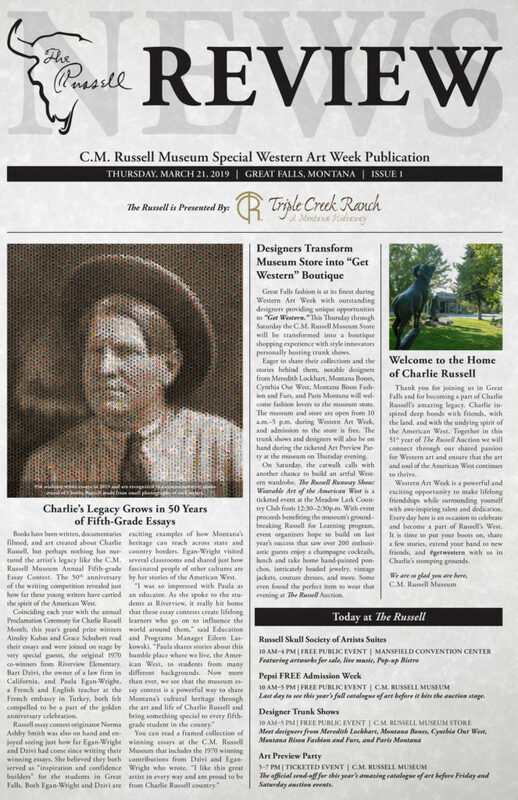 Educational programming and stewarding the legacy of Charlie Russell, the art and soul of the American West, is the underlying reason people come to Great Falls every March. Attendees appreciate that this once-in-a-lifetime opportunity to view and buy significant historic and contemporary Western art also helps preserve Russell’s West for our next generations.